However, there still exists a disparity between countries in the ease of access to these contraceptives. While about 33 countries have oral contraceptive pills as prescription medication, a majority of the countries of the world have oral contraceptive pills with an over-the-counter (OTC) designation. It appears that most of the countries with OTC oral contraceptives are less developed countries. It thus seems that this OTC designation is due to the fact that these countries need to encourage family planning and to make birth control methods readily available. If this is an advantage of OTC contraceptive pills, then why do these oral contraceptive pills remain available only by prescription in many developed countries? To answer this question, it is necessary to explore the rationale behind maintaining a medication in prescription status, and the criteria that need to be fulfilled for a medication to become designated as OTC. Its approved new drug application (NDA), specifically limits it to prescription status. Not rely on health practitioner supervision for its safe and effective use[iii]. However, this issue will not be addressed in-depth in this paper. As alluded to in the portions of Acts outlined above, other decisive factors comprise the general theme of drug safety, one of which is the ability of an OTC drug to be self-administered effectively without a health professional’s intervention. Therefore, even if a drug ticks all the boxes and there is no consensus as to whether such a drug can be trusted entirely in the hands of patients, then that drug is likely to face difficulties in transitioning from prescription to OTC. Before further addressing this point and how it applies to oral contraceptive pills, I would like to highlight the implications that an Rx-to-OTC switch has on the key players in the drug manufacturing, marketing, and utilization sector, and how these implications factor into an ethical discussion regarding OTC designation for oral contraceptive pills. After vaginal antifungal products made the move from prescription to over-the-counter (Rx-to-OTC), a study showed that there was a large decline in patient visits for physician consultation[v]. It can be assumed, that an Rx-to-OTC switch for oral contraceptives may cause the same type of decline. The fear, then, that has been expressed by some physicians opposed to this switch, is that women will be less likely to comply with routine gynecologist visits[vi]. Conversely, pharmacists will become more involved in dealing with patient issues regarding oral contraceptive use. This is because pharmacists will serve as the only professional link between a patient and her contraceptive pills, and so any question she has will need to be handled by the pharmacist. In addition, in countries that require some form of screening before patients are able to purchase OTC oral contraceptives, pharmacists typically carry out this screening. Therefore, an Rx-to-OTC switch for oral contraceptives could occur simultaneously with a shift in professional advice and assistance from physicians to pharmacists. A national survey carried out in the United States found that a new patient, on average, waits two weeks before being able to secure an appointment with an obstetrics-gynecologist[vii]. Women are more likely to miss oral contraceptive pills because of this difficulty in setting up an appointment, and the time and money it takes to set up a gynecology visit[viii]. These are some of the barriers that women face in reaching prescription-only oral contraceptives. It has also been shown that more women would prefer that they did not need to see a physician before having access to these contraceptive pills. In addition, it would appear that women from low-income areas, who would have difficulties in raising children, face the most restriction to acquiring oral contraceptive pills[ix]. These pieces of evidence support the fact that an Rx-to-OTC switch for oral contraceptive pills will benefit patients by increasing ease of access, thereby preventing unwanted pregnancies. An Rx-to-OTC switch can be lucrative to brand name drug manufacturers, especially after patent expiration[x]. If more patients gain convenient access to the medication under discussion, and if previous non-users become users as a result of this OTC switch, then brand name manufacturers benefit more in terms of sales. In a study done on an allergen, Zyrtec, it was found that post-OTC switch, 84% of sales were derived from the OTC products, even though only 27% of prescription patients moved to Zyrtec OTC. What this showed is that the majority of the sales were from new users that were new allergy patients or that had not purchased any product to treat their conditions in the past two years[xi]. Although the monetary benefit to drug manufacturers is worth discussing, it should not take center stage when considering the ethics of an Rx-to-OTC switch for any medication, especially oral contraceptives. On the face of this discuss lies a glaring justice issue that is worth taking into consideration. At the beginning of this paper, I gave a brief summary of the percentage of countries that have oral contraceptive pills as OTC, against those that still require patients to obtain physician prescriptions. As shown in the map (see Appendix), there are a number of neighboring countries across continents that differ vastly in the OTC/Rx status of oral contraceptives. For example, in Africa, while patients in Zimbabwe require a physician prescription to purchase oral contraceptives, patients that share a border in Zambia are able to purchase oral contraceptives over the counter. The same is true in the United States versus Mexico, where patients in Mexico have OTC access to oral contraceptives, and patients in the United States are not afforded this option. In a 2010 study[xii] following the choices that women make who live on the US-Mexico border, it was found that women that purchased prescription-only oral contraceptive pills were younger, more likely to be single, have fewer children, have higher levels of education, and speak English more fluently than Spanish. In addition, women that purchased prescription-only oral contraceptive pills cited inconvenience as a disadvantage to their preferred practice, while OTC pill purchasers cited the fear of getting stopped by the US customs on getting to the border, as disadvantageous to their own preferred practice. These results show that patients have a desire to be able to procure oral contraceptives without the inconvenience of frequenting health care providers prior to do so. These results also show that there is a population of women that is not being catered to adequately with the current prescription-only status of oral contraceptives in the United States. These women are in a low socioeconomic and educational class, and so even though there are advantages to prescription-only contraceptives, these women make the difficult choice to go to Mexico for their oral contraceptives. Unfortunately, it is unclear that crossing the border to Mexico is safe and/or reliable in terms of clear labeling and drug quality. As the FDA does not approve or monitor the manufacturing and labeling practices of drugs made and used in Mexico, the practice opens this population of women up to the dangers associated with purchasing their oral contraceptives across the border. One important argument against the Rx-to-OTC switch for oral contraceptive pills is how to address safety for use in patients with contraindications. For example, combined oral contraceptive use has been shown to increase thromboembolism, especially in women with thromboembolic risk factors[xiii]. However, oral contraceptives, should they gain worldwide OTC status, will not be the first OTC drug to pose some risk to a group of its users. A good example of a generally accepted OTC medication that falls in this category is non-steroidal anti-inflammatory drugs (NSAID). The FDA estimates that about 2-4% of NSAID users, yearly, will either develop gastrointestinal bleeding, symptomatic ulcers, or intestinal perforations[xiv]. In addition, based on study analyses8 it appears that the percentage of women that use or desire oral contraceptive pills with medical contraindications do no exceed this percentage reported for NSAID user complications. Finally, studies have shown that oral contraceptives are safer for a woman’s health than pregnancy and delivery8. There is a notion that prescription medication, in general, constitutes benevolent paternalism in medical practice[xv]. It is understandable that patients, without medical knowledge, might be unable to self-diagnose and self-prescribe appropriate medication. This is because the large majority of patients are not even aware that certain drugs exist on the market and can be used for treating their ailment. However, if a patient has been diagnosed by a medical professional, and a particular medication has been suggested for use by this medical professional, a legitimate question arises as to why formal permission, in the form of a prescription, is needed before that patient can gain access to the needed medication. One might argue that prescription-medications are needed to reduce the risks posed to the general patient population in terms of adverse reactions brought about by drug-drug interactions, or by pre-existing contraindications. Another argument in support of prescription medications is the fact that certain approved substances have been shown to have addictive qualities, and so close monitoring by medical professionals ensures that these drugs are not misused. However, even with the existing norm of prescription medications, certain drugs are still subject to abuse and misuse. In addition, in terms of safety of the medication, no drug can be entirely safe for every member of the population. Even acetaminophen is responsible for up to 400 deaths in the United States, every year9. In the case of oral contraceptives, on the other hand, there is no fear of their addictive properties. There has not been any incident reported of these hormone-laden pills causing addiction in the five decades they have been on the market. Also, in the discussion of the need for these oral contraceptives to remain prescription medications, alluding to problematic patient self-diagnosis is a red herring. Unlike most prescription medications, and even over-the-counter drugs, oral contraceptives are not used to cure illness or mitigate disease symptoms. These pills are used as preventives for unwanted pregnancies. If a woman is denied access to this form of birth control because her physician has not given her permission to use this method, does this not fall under a form of medical paternalism? As stated previously, physicians not in favor of the OTC switch for oral contraceptive pills have cited compliance with routine medical checks, such as pap smears, as a reason for why oral contraceptive pills should continue to be available only by physician prescription[xvi]. This reason is glaringly a breach of patient autonomy. Patient compliance with other routine medical checks should not be a bait that they women have no choice but to swallow in order to make sound reproductive choices. In this paper, I have considered the current discussions of the prescription-to-over the counter switch for oral contraceptive pills, especially in the United States. In doing so, I have discussed the effects that general prescription-to-OTC switches have been historically shown to have on patients, physicians, and the drug manufacturing industry. One issue that I did not address in this paper is the part that insurance companies can play in these Rx-to-OTC switches. Currently, in the U.S., insurance companies do not cover OTC medication costs. It seems unfair that there are countries in the world where patients have unhindered access to oral contraceptives, while there are countries where patients still have to go through the burden of seeking out physician prescription before they can benefit from them. Time spent booking appointments and limited access to healthcare facilities cause problems in terms of patients becoming complacent in keeping up with this routine practice of seeking prescription before going to the pharmacy. When this happens, we stand the risk of allowing more women to be subject to unwanted pregnancies, circumstantial abortions, and/or health complications that arise due to pregnancies and deliveries. Oral contraceptives’ safety and effectiveness, and their selective global OTC status, should cause every country to make this OTC switch. This will not only increase access to the medication, it will also ensure that women, especially women residing on borders between countries that differ in the status of these pills, are being catered to in terms of ensuring that the labels on the medication that they purchase are detailed and can be followed easily by these patients. While more data is needed that shows the safety of use in the different contraindications, public health initiatives can aid in helping women have the ability to self-screen for contraindications. In addition, it could be more acceptable for oral contraceptive pills to have a “behind-the-counter” status than for it to remain completely prescription-only. This ensures that the patient is adequately screened for contraindications, has access to professional advice if needed, while still being able to access the medication quickly. Finally, there ought to be more studies that compare patient use, incidence of complications from oral contraceptive use, and patient attitudes towards oral contraceptives in countries where these pills are currently prescription-only, countries where the pills are informally available over-the-counter, and in countries where they are formally available behind-the-counter. This will eliminate speculations and non-empirically driven inferences made in the discussion of Rx-to-OTC switch for oral contraceptive pills. [i] Nikolchev A (2010). 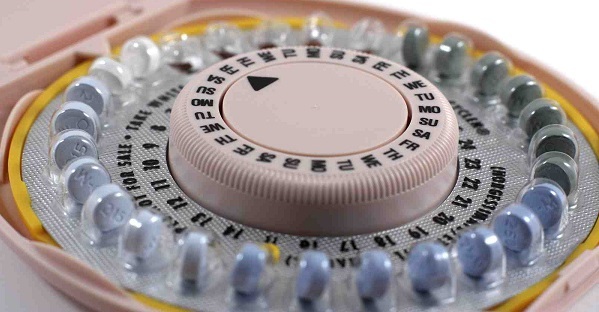 A Brief History of the Birth Control Pill. PBS. http://www.pbs.org/wnet/need-to-know/health/a-brief-history-of-the-birth-control-pill/480/. Last accessed 05/08/2014. [ii] Grindlay K, Burns B & Grossman D (2013). Prescription Requirements and Over-the-Counter Access to Oral Contraceptives: A Global Review. Contraception 88(1): 91 – 96. [iii] Howard D.L, Wall J & Strickland J.L. (2012). Physician Attitudes Toward Over the Counter Availability for Oral Contraceptives. Maternal and Child Health Journal. [iv] Wang K. (2012). Chinese FDA Released Guidelines for Rx-OTC Switch. http://www.mondaq.com/x/209864/Healthcare/Chinese+FDA+Released+Guidelines+for+RxOTC+Switch. Last accessed 05/08/2014. [v] Gurwitz J.H, Mclaughlin T.J & Leslie S.F. (1995). The Effect of an Rx-to-OTC Switch on Medication Prescribing Patterns and Utilization of Physician Services: The Case of Vaginal Antifungal Products. Health Services Research 30: 5. [vi] Howard D.L, Wall J & Strickland J.L. (2012). Physician Attitudes Toward Over the Counter Availability for Oral Contraceptives. Maternal and Child Health Journal. [vii] Landau C.S, Tapias M.P & McGhee B.T. (2006). Birth Control Within Reach: A National Survey on Women’s Attitudes Toward and Interest in Pharmacy Access to Hormonal Contraception. Contraception 74(6): 463 – 470. [viii] Smith J.D & Oakley D. (2005). Why Do Women Miss Oral Contraceptive Pills? An Analysis of Women’s Self-Described Reasons for Missed Pills. Journal of Midwifery & Women’s Health 50(5): 380 – 385. [ix] Landau C.S, Tapias M.P & McGhee B.T. (2006). Birth Control Within Reach: A National Survey on Women’s Attitudes Toward and Interest in Pharmacy Access to Hormonal Contraception. Contraception 74(6): 463 – 470. [x] Pharmaceutical Industry Whitepaper. Why Rx to OTC Switch is A Viable Off-Patent Strategy. http://www.ozpharmagroup.com/_data/docs/whitepaper_otc%20switch%20as%20patent%20extension_final%202.pdf. Last accessed 05/08/2014. [xi] Pharmaceutical Industry Whitepaper. Why Rx to OTC Switch is A Viable Off-Patent Strategy. http://www.ozpharmagroup.com/_data/docs/whitepaper_otc%20switch%20as%20patent%20extension_final%202.pdf. Last accessed 05/08/2014. [xii] Potter J.E, White K, Hopkins K, Amastae J & Grossman D. (2010). Clinic Versus Over-the-Counter Access to Oral Contraception: Choices Women Make Along the US-Mexico Border. Ame J Pub Health. 100(6): 1130 – 6. [xiii] Tepper N.K, Paulen M.E, Marchbanks P.A & Curtis K.M. (2010). Safety of Contraceptive Use among Women with Peripartum Cardiomyopathy: A Systematic Review. Contraception 82(1): 95 – 101. [xiv] Xu H, Eisenberg D.L, Madden T, Secura G.M & Peipert J.F. (2014). Medical Contraindications in Women Seeking Combined Hormonal Contraception. Am J Obstet Gynecol 210.e 1 – 5. [xv] Flannigan J. (2012). Three Arguments against Prescription Requirements. J Med Ethics 2011. [xvi] Howard D.L, Wall J & Strickland J.L. (2012). Physician Attitudes Toward Over the Counter Availability for Oral Contraceptives. Maternal and Child Health Journal.